He can hear things I can’t hear until the last moment like the mailman idling in front of the house or when the pizza delivery guy shows up. I claim he’s wrong because I don’t hear a thing! He’s prove me wrong many, many times. I tell him he has super hearing and I’m always amazed. Good stuff. 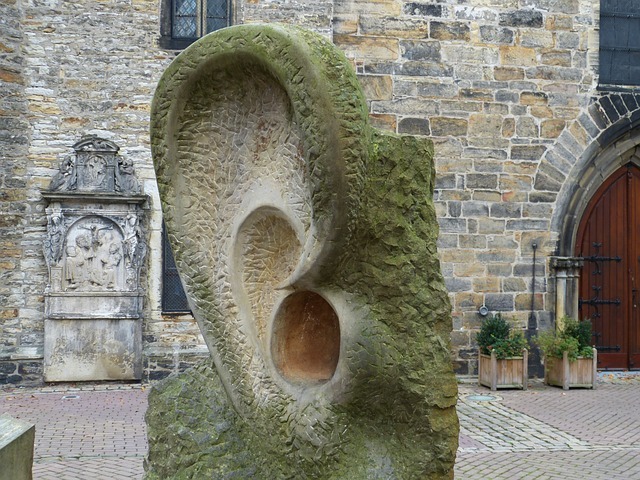 Where is the photo of the ear sculpture from? There’s a link at the bottom–I found it on Pixabay. Just click on the link for more info. Really neat picture, isn’t it? It is neat. Looks like it’s from Germany. Cool. My first comment read a little rough. It just fascinated me. Giant ear somewhere on the planet. Love your books. Information such a plus. Thanks. Perfect timing!! The main character in my 2nd YA novel has this talent/skill! I checked your blog a couple months ago to see if you had a corresponding entry and you didn’t. 🙁 But I’m getting back to my story after a few months’ long hiatus and look what pops into my inbox!! Thank you!! Haha, awesome! Glad we had what you needed, Kelly!